Next Level Pressure Washing, Inc.
Eddy Services Corporation works with trained professionals to perform the most diverse pressure cleaning services. We have modern and safe equipment to achieve the best result every service provided. With more than 4 years experience transforming homes and smiles We hope our customers will be SURPRISED! We do any kind of pressure washing for low price and high quality! Roofs - Driveways - Patios - Decks - Sidewalks - Fences - Stones & More. Check this out! We pride ourselves on being the most professional pressure cleaning business that you will ever work with. Over the years, we have served thousands of customers who have nothing but great things to say. In fact, we urge you to look up the google reviews. 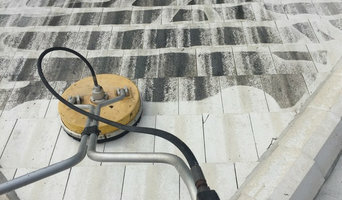 With over ten year's of experience in providing both residential and commercial pressure cleaning to all of Miami and it's surrounding areas, we at Ultimate Pressure Cleaning & Sealing understand that our customers want as few hassles as possible. Therefore no matter how big or how small the job we provide strong management and direction for each project to ensure services are delivered to you in a smooth and hassle free manner. Here at Ultimate Pressure Cleaning & Sealing we offer Hot & Cold Pressure Cleaning in Miami and all of it's surrounding areas. Each and everyone of our professional cleaners are thoroughly trained in respect to each cleaning task and have each successfully completed all of the necessary safety training involved. Our company's goal is to professionally clean and service each and everyone of our customers home, business, building and facilities to the best of our abilities and in the highest standard possible. We at Ultimate Pressure Cleaning & Sealing, understand today's economical situation. That is why we offer each and every one of our customers the Ultimate Pressure Cleaning experience at an Ultimately low price. Protect your investment today! Don't wait until its too late! Contact us to schedule your free pressure cleaning quote and start fighting back that grime and reducing allergens by cleaning away all that pollen, mold, and dirt that's built up on your property. 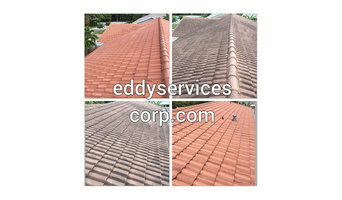 Roof cleaning, pressure cleaning, painting, sealing and roof repair. VSP Softwash delivers an alternative service to pressure washing, for roof and building exterior surface cleaning and restoration. Eco-friendly biodegradable cleaning solutions and disinfectants are applied to building surfaces removing both organic and inorganic stains using a low pressure agricultural style application process. 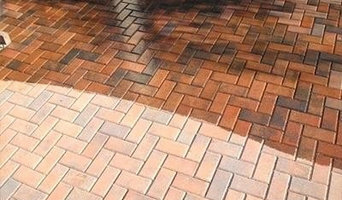 Since 1999, Absolute Pressure Cleaning Services has been providing top-level exterior cleaning services to local residential and commercial clients. Since day one, our Fort Lauderdale pressure cleaning company has maintained the same dedication to being on time, completing our work in a prompt and professional manner, and providing customer satisfaction. Hi. I'm Emmanuel. I own and operate Hollywood Pressure Cleaning. I have pretty much two drives in my life: I want to make money (I gotta eat, you know) and I want to do everything I do with excellence. These motivations are good for you. You see, my parents have run a pressure washing business and I started for them. This experience helped me to value hard work and pride in the job you do, whatever it is. Well, after school, I was ambitious to run my own business. I knew there was money in pressure cleaning, if you are good. Well, at the end of the day, I am good. I want to be good, so I constantly worked toward that goal. And that pays off for you because you get the benefit of a good cleaner, In fact, I said, "If we are going to do it, we are going to be the best at it." And that is where Miami Pressure Cleaners is going. Won't you go along for the ride with me? What do Pompano Beach, FL exterior cleaners do? Find exterior cleaners in Pompano Beach, FL on Houzz. Search the Professionals section for Pompano Beach, FL exterior cleaners or browse photos of completed projects and look for the exterior maintenance professional’s contact information.